$100 billion: That’s the proposed value of Uber – making the Uber IPO the biggest since Alibaba. Uber just released these confidential IPO documents (click here). 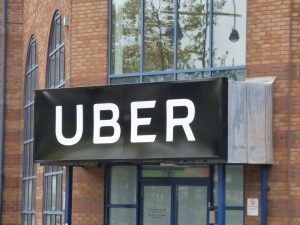 Last year, Uber filed IPO paperwork with the Securities & Exchange Commission. Yet the company used a loophole to keep those documents out of the public view. Now that Uber is in the final stages of going public . . The confidential S-1 filing is released. Go here for urgent details – inside today’s FREE webinar. Here’s what we now know . . . Right now, Uber hasn’t released an offering price or valuation. However, it’s widely believed that the company will go public with a market value exceeding $100 billion. And that the value could be as high as $120 billion. The Uber IPO filing revealed important financial information. Investors will be attracted to Uber’s rapid growth and large scale. Last year, Uber’s revenues grew 42% to reach $11.3 billion. The company reported net income of $997 million. However, that number included income from the sale of assets. On a cash basis, the company’s losses totaled $1.85 billion. In the final three months of 2018, Uber revenues reached nearly $3 billion. Yet the company’s losses totaled $1 billion. The company is spending aggressively to pursue growth. The balance sheet is healthy – with over $6 billion in cash. Plus, Uber plans to raise another $10 billion in an initial public offering. In the coming weeks, we’ll get Uber IPO pricing information from Uber’s bankers. Uber will be the No. 1 IPO for 2019. Early investors in Uber stand to earn the biggest profits. These investors include Jeff Bezos, Goldman Sachs, and Morgan Stanley, all of whom picked up pre-IPO shares. Today your chance to claim pre-IPO shares of Uber. My LIVE webinar reveals urgent details on this unique situation. Instead of waiting for the Uber IPO roadshow and official public offering . . .
You can use a secret loophole to secure private shares – just 30 days before the Uber IPO. In fact, you can use this same secret to claim pre-IPO shares of Pinterest – before next Thursday’s IPO. Just go here now (it’s FREE).